At the end of 2014, we enlisted your vote and announced the Best Company Pages of 2014. Out of the 4 million Company Pages in our ecosystem, these 10 businesses have managed to break through and create a unique presence for themselves. But they're not the only ones cut out for the job. 1. Sponsor your best content to reach even more of the world’s professionals directly in the LinkedIn feed. 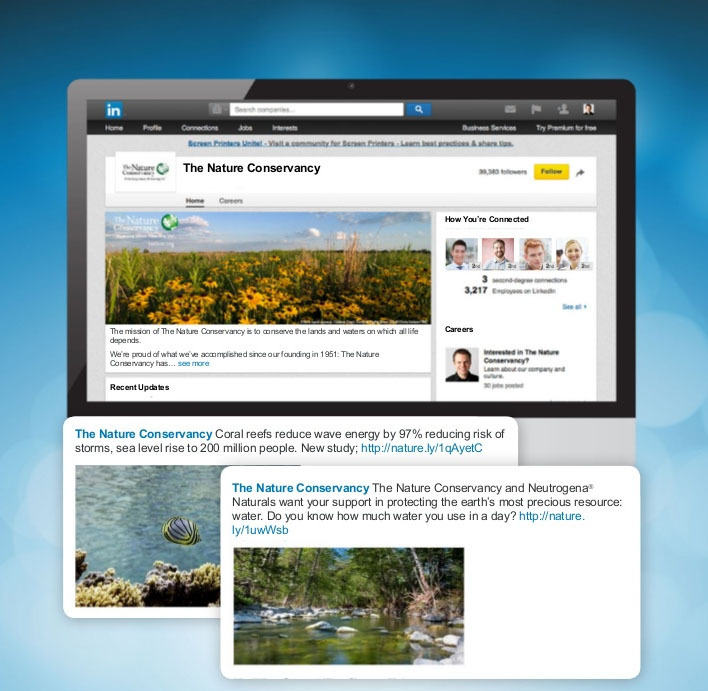 Sharing regular organic updates to your LinkedIn Company Page is a best practice, but if you want to extend the reach of your content -- and drive more followers to your Company Page -- leverage Sponsored Content. 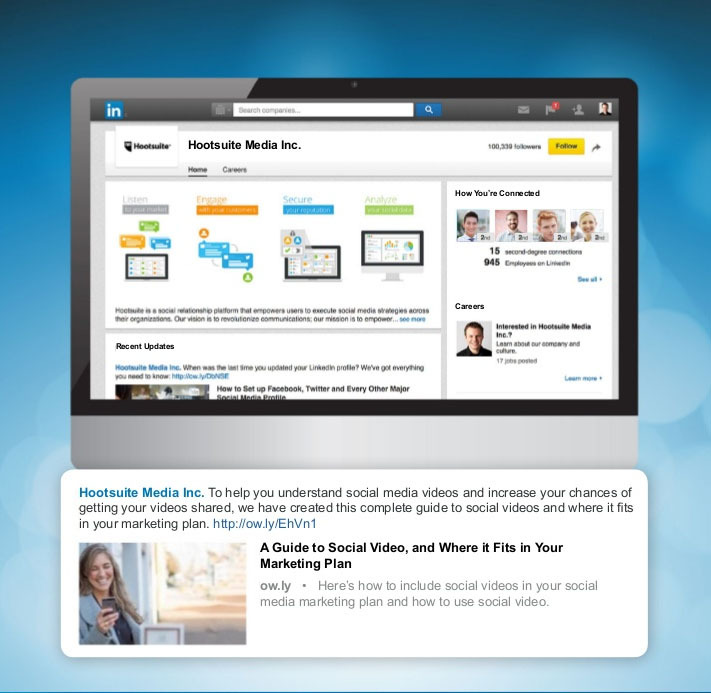 LinkedIn Sponsored Content allow you to reach the world’s professionals directly in their feed across all devices. 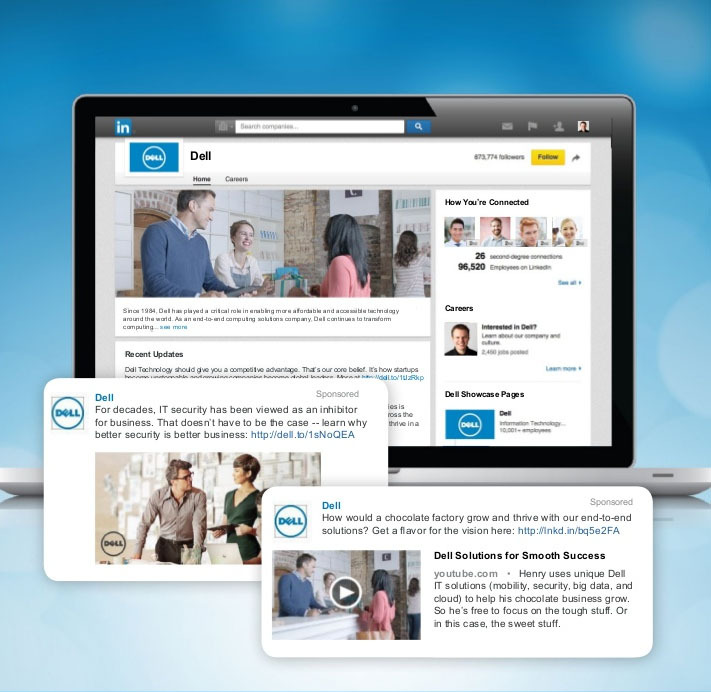 By leveraging Sponsored Content and its robust targeting capabilities, Dell is able to reach beyond their followers and share valuable content with even more of their target audience. 2. 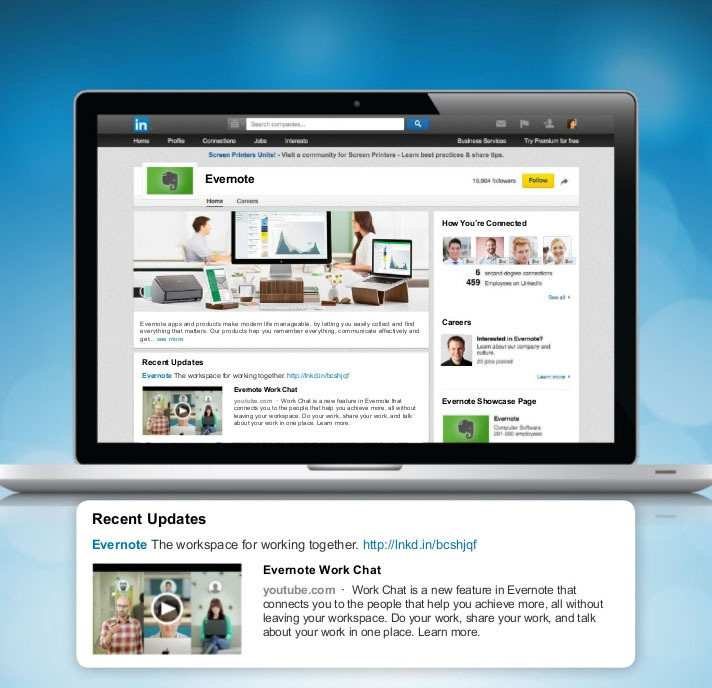 Feature your most valuable content by pinning an update to the top of your Company Page’s Recent Updates section. Pinned updates are a great way to ensure that your most important content gets the spotlight on your Company Page. When you pin an update, it remains at the top of your page’s Recent Updates. Evernote put this feature to use when they announced a new feature. Not only did they post an update about the exciting news, but they also pinned that update to the top of their page to make sure it was the first thing their Company Page visitors viewed. 3. Share content that is valuable to your audience and answers questions or solves problems they may have. When it comes to posting updates, it’s about quality not quantity. Your updates should be comprised of content that resonates with your target audience. Hootsuite Media Inc. is very familiar with their audience. By posting updates with helpful tips and insights around social media, they continuously provide value to their followers. 4. Start discussions with and among your followers by asking questions, sharing short quizzes, and celebrating company wins. LinkedIn members enjoy engaging with brands, and a great way to build this relationship is by humanizing your brand and posting updates that spark conversations. 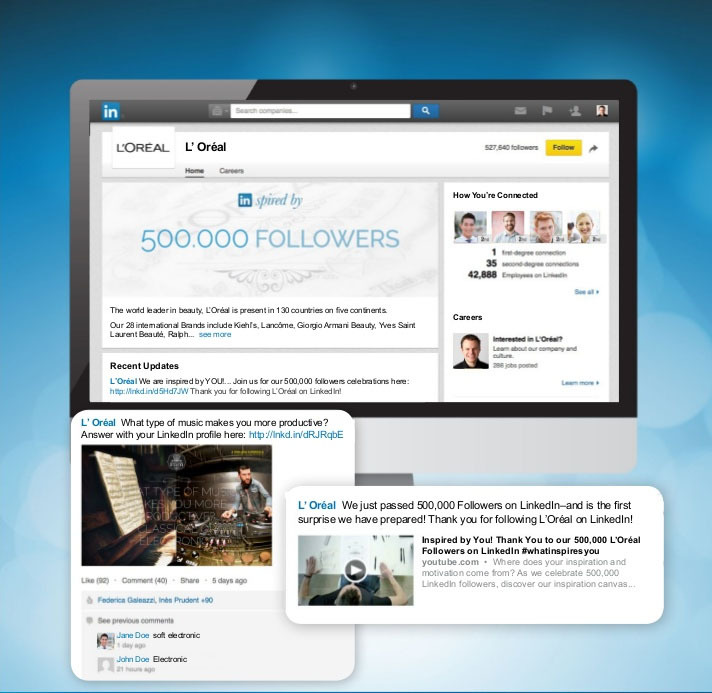 L’Oréal starts conversations and makes interactions with their followers more personal by asking questions. They also celebrate milestones with their followers. Most recently, when their page reached 500,000 followers they created a video and posted updates thanking all of their followers for their support. 5. 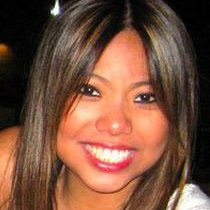 Attract top talent by leveraging the Careers Page on your Company Page. Many members are on LinkedIn to find career opportunities, and the Careers Page on your Company Page is a great place to recruit talent. 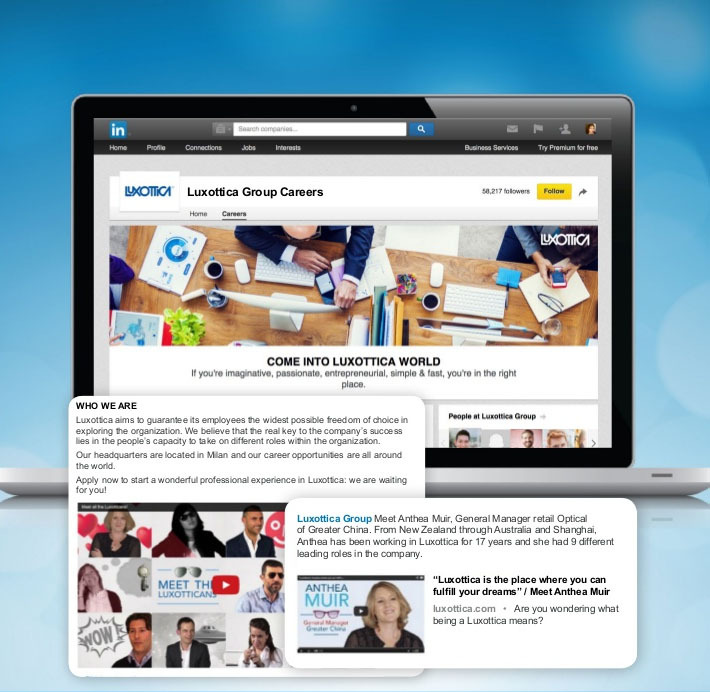 Luxottica Group does an incredible job of leveraging their Careers page. While posting information about recent openings, they make their page stand out by sharing and uploading content that highlights their company culture. 6. To further convey your message, make sure the images and thumbnails posted with your updates are relevant to the content being shared. Visual is the new headline. And while visuals are key when it comes to driving engagement on your Company Page, sharing pictures or rich media that relate directly to the content in your update takes it a step further. Marketo adds additional value to all of their updates by including images or thumbnails that directly relate to the content they’re sharing. 7. Make your updates stand out by posting images or rich media that are compelling and eye-catching. 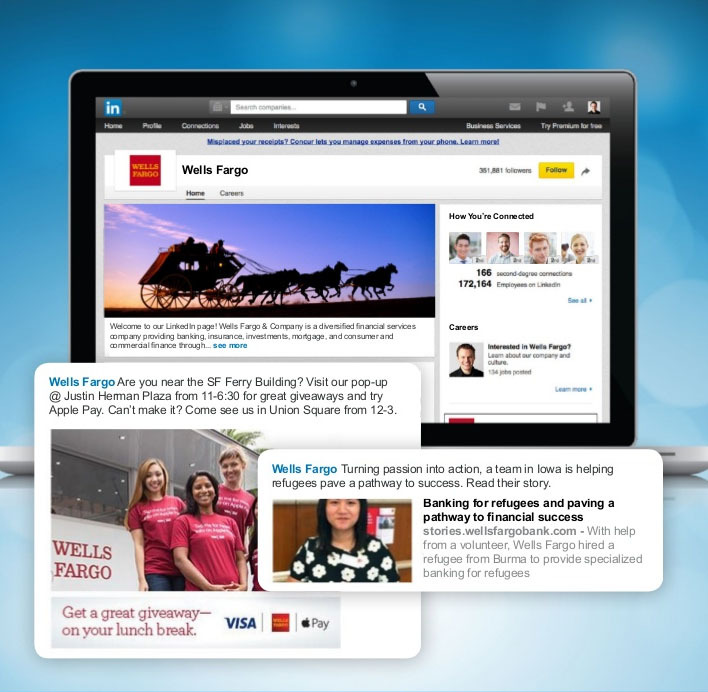 Updates with images or rich media receive higher engagement in the LinkedIn feed. By making your updates stand out with visuals, you’re able to capture the attention of your followers. The Nature Conservancy posts beautiful and bright images with all of their updates. Not only do these images guarantee their updates will pop in the feed, but they also relate to the content they’re posting, making them even more powerful. 8. Accentuate different business entities with a Showcase Page. If your company has more than one business entity, then Showcase Pages are something to you should take advantage of. Proctor and Gamble created a Showcase Page for their Secret Deodorant brand. With their Company Page and Showcase Page, they’re able to engage and share relevant content with unique target audiences. 9. Leverage your updates to share exciting news and exclusive content about your company. Your Company Page is a great channel for keeping your followers up to date on the latest and greatest news about your business. 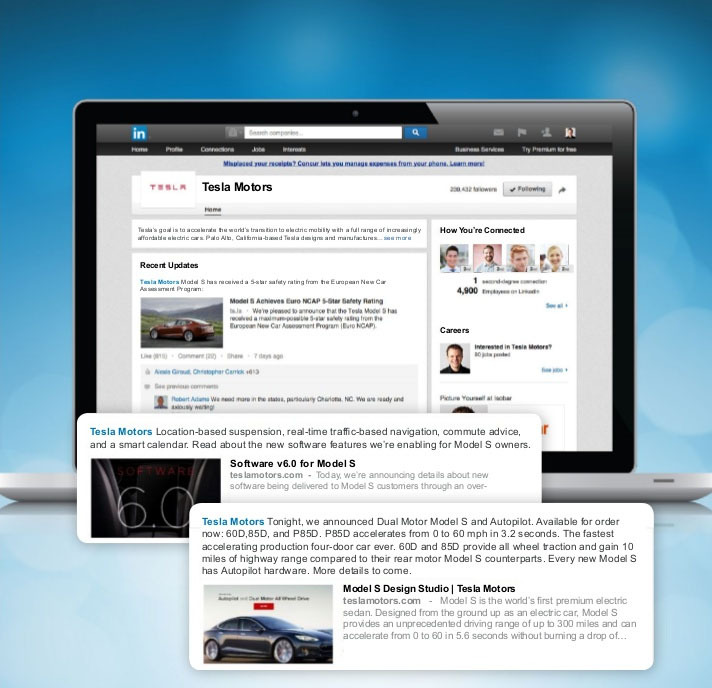 Tesla Motors uses their Company Page to share their latest product releases and content. Additionally, they build excitement by posting updates that give a sneak peek at what’s to come from the brand. 10. 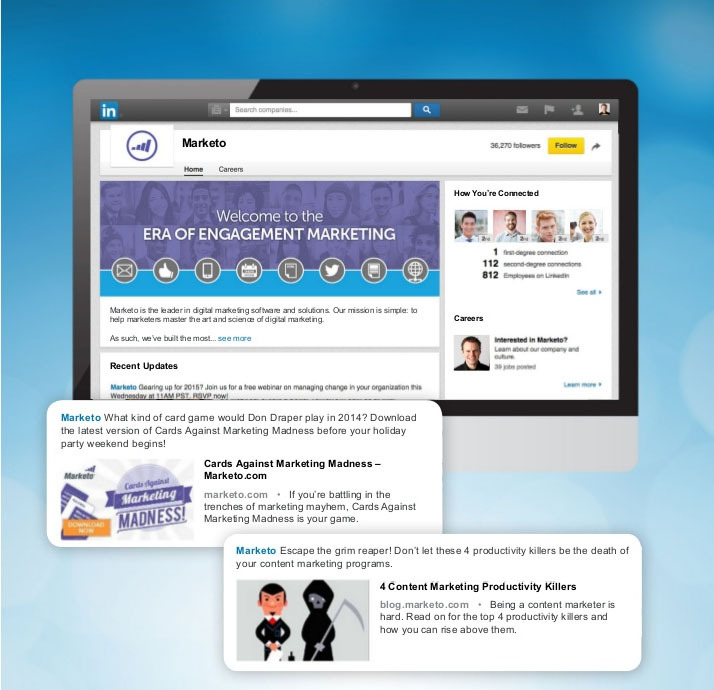 Make your content even more relevant with targeted updates. Targeted updates are a great way to ensure relevance with certain audiences. With the capability to target by company size, industry, function, seniority, geography, and language preference you’re able to ensure that you’re sharing content that’s relevant to specific followers. Wells Fargo does a great job of using targeted updates. Since they have several events across the nation, they use targeted updates to share specific events in certain cities, which ultimately delivers a more relevant and localized experience to their followers. Stay connected to your industry. 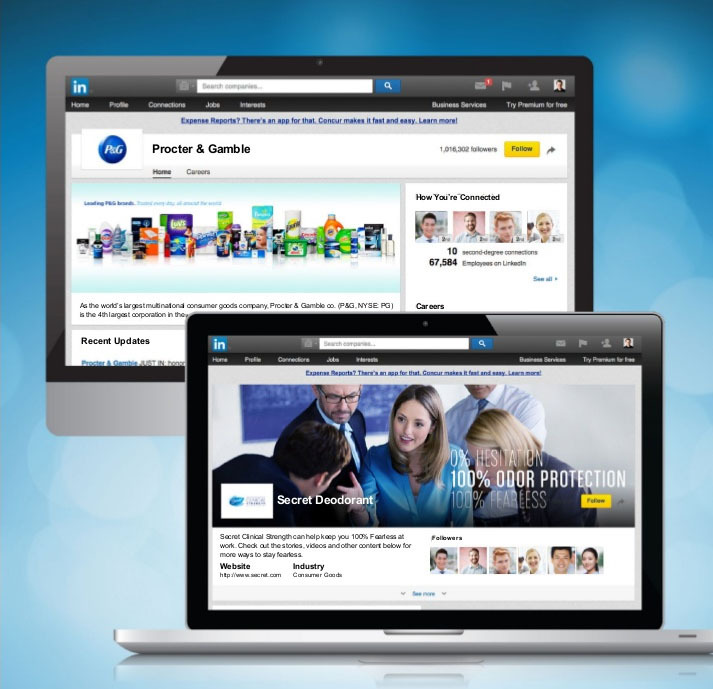 Get fresh insights, tips, and tactics for highly effective marketing by subscribing to the LinkedIn Marketing Solutions blog today.